Yanni's World Tour Continues to South America! Next stop, Santiago, Chile on September 30th. 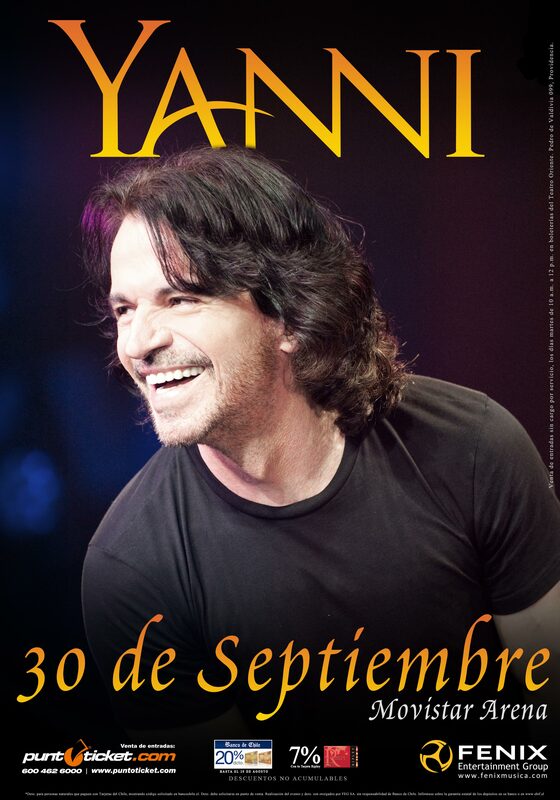 Santiago, Chile marks the first of many cities Yanni will be touring in while in South America. He will also be reconnecting with fans in Buenos Aires, Argentina, Porto Alegre, Curitiba, Sao Paulo, Belo Horizonte, Brasilia and Rio de Janeiro in Brazil. We are looking forward to seeing many old friends and meeting new ones on Yanni's return to South America. For additional tour information or to see when Yanni will be in your city next, click here.